My two good friends 'nafa' and 'ooo'. Being productive means paying careful attention to your time and where and how it gets used. As part of my workflow and productivity I have two good friends 'nafa' and 'ooo', acronyms I’ll introduce you to shortly. One thing about time is that you can't control it, you can't make it go faster or slower or wind it back. You can only control how you spend it; in some ways it's like currency except each day you're given a fresh supply to spend how you see fit. Leveraging time and leveraging resources. Most people can't work as an island in business, you need a team to support you. Part of your team might be the professional services that support your business such as your accountant, solicitor and business advisors. Other members of your team are your staff, of course, and the third level may be the people you outsource to, such as your graphics designer, web developer, copywriter and more. Some services should outsourced or, if you have the time and expertise, you may choose to do them yourself. The new breed of outsourced services now include people you have never actually met but trust though reviews, escrow services and 'star' ratings. They are services like Fiverr, Odesk, Elance, Freelancer, Virtual Assistants and many many more. Even if you're a small business or solopreneur you rarely work in isolation, you really can have quite a team behind you to help your business function. Scheduling your time and the ability to manage your 'team' and their output, plus managing your personal time and still leaving time to earn an income is very important. I have two good friends ‘nafa’ and ‘ooo’ who I work with every day when I need to manage my time, work with a team or schedule appointments with clients. They are nafa (not available for appointments) and ooo (out of office), they help my planning and let my team know through my shared schedule when I'm available, in the office but not available or just away from the office. They have become even more important to me wIth the avalanche of scheduling tools and plugins such as Scheduleonce, Timetrade and Bookeo. Identifying your available time for clients is critical for keeping up service levels, as is putting time aside for working through tasks and projects. I've never liked using the term 'busy' from the old Microsoft Outlook days. I didn't think it was enough of a description when working with my VA's of the past and staff members. ‘nafa’ and ‘ooo’ are better friends and tell a better story. ‘nafa’ and ‘ooo’ make my daily planning easier and support good time management practices for me and my extended team. I encourage you to adopt and work with my friends ‘nafa’ and ‘ooo’ as well. Use them to make better use of your time. nafa - not available for appointments. ooo - out of office. Travel - allowing adequate travelling time between appointments and meetings. Leave a comment, I would love to hear your thoughts and what ‘friends’ you use to make your day more productive. A master list or project list which has everything you want to achieve or do. A monthly to-do list often broken down into work-related and personal goals. It takes time to effectively master this process and like any personal development skill once learnt practice will make you better and better at becoming more productive and freeing up your time to enjoy the things you really want to do in your life i.e. a higher level of achievement or more time with your family etc. Taking the time out for planning and prioritising can deliver a tenfold return on the time invested. I'd love to hear your comments and about your experiences on getting things done. Please comment below. 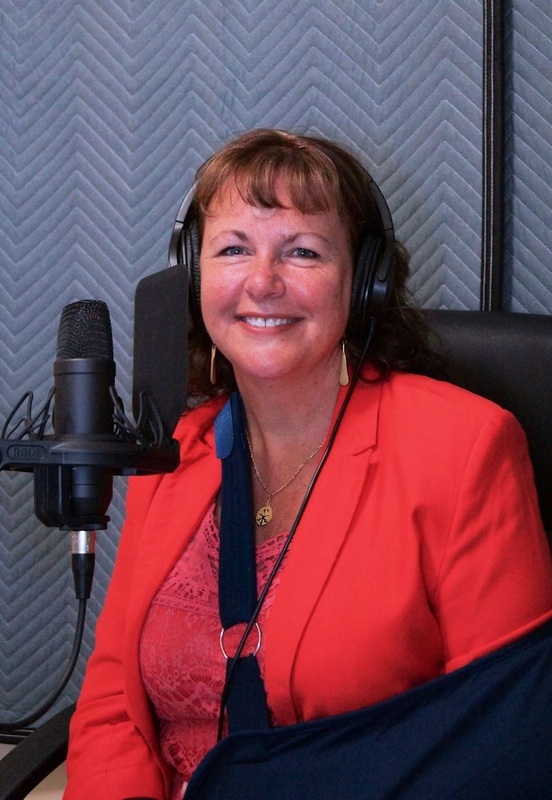 I had the great pleasure of interviewing Kim Edwards, a winner of several prestigious business awards and co-founder of the international language school SEA Academy. In this revealing interview Kim shares about her business journey from her parents dining room table to creating an international language school and multi-franchise operation and on to selling the business and working in Saudi Arabia. ﻿﻿- Kim Edwards business woman and educator. - From her parents dining room table to an international multi-franchise business operation. - Working in Saudi Arabia. - Moving from a marketing mentality to a branding strategy - why, and the results. - How, for many people, learning to speak English changes their life. - Why we sold SEA Academy. - From Nauru to Saudi Arabia. - An amazing working life in Saudi Arabia. - Opportunities to visit, work or do business in Saudi Arabia. Thank you for listening to Kim’s journey. Please connect with me and share this recording of Kim’s story with your friends. “Once a mud brick waystation along desert trading routes, Riyadh is now one of the wealthiest cities in the world. The country’s political, financial and administrative capital is also a city with a fascinating subtext. Nowhere are the contradictions of modern Saudi more evident than in Riyadh. Seen from afar, soaring, sparkling, stunning modern towers rise above the dusty desert and shiny 4WDs throng modern highways. Up close, Riyadh is conservative, cautious and sober (certainly compared to Jeddah). This sometimes jarring, always intriguing mix is combined with fine hotels and restaurants and some excellent sights”.